[DONE] Things need to move! With physics! [DONE] We want to point and click on a menu! [DONE] We want to see what's up on a hud! 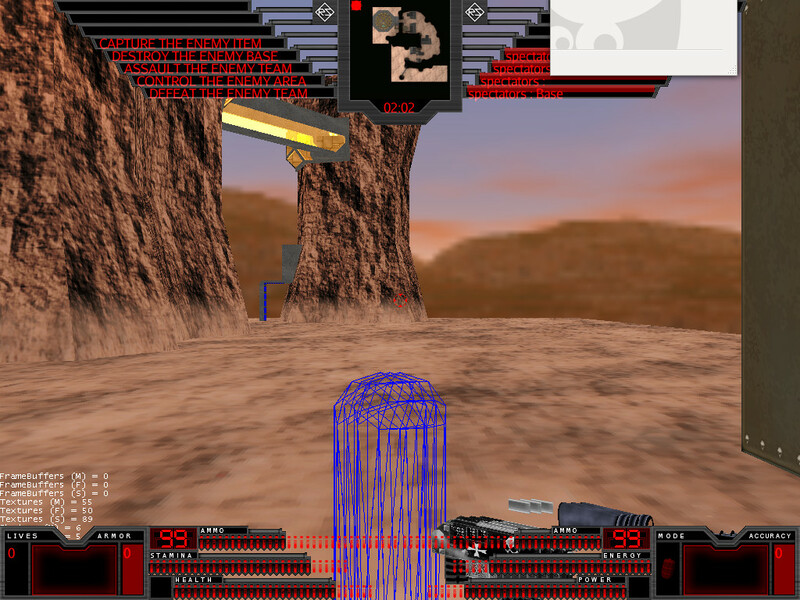 Speaking of the bolter: While doing the hud shape, I had to realize that the current level loading doesn't include the gameplay properties of the map entities and that prevents you from having the right to have a bolter! So what you see now is just a tiny model of it that I loaded for the purpose of testing model loading and resources like textures and texts. So what I have to do now is improving the level loading so that we actually have the gameplay entities! Oh so much HUD. What's the frame rate like these days? What the framerate is like? ... ummm ... wellll.... it's hidden by the HUD :-P ... for a reason. But honestly, the HUD is not the reason... really, no joke! And yeah? it's the gimp, he wants to stare at you :-).